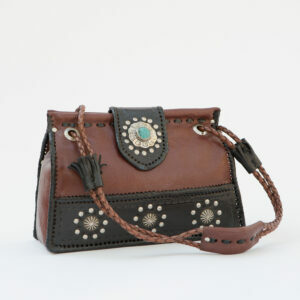 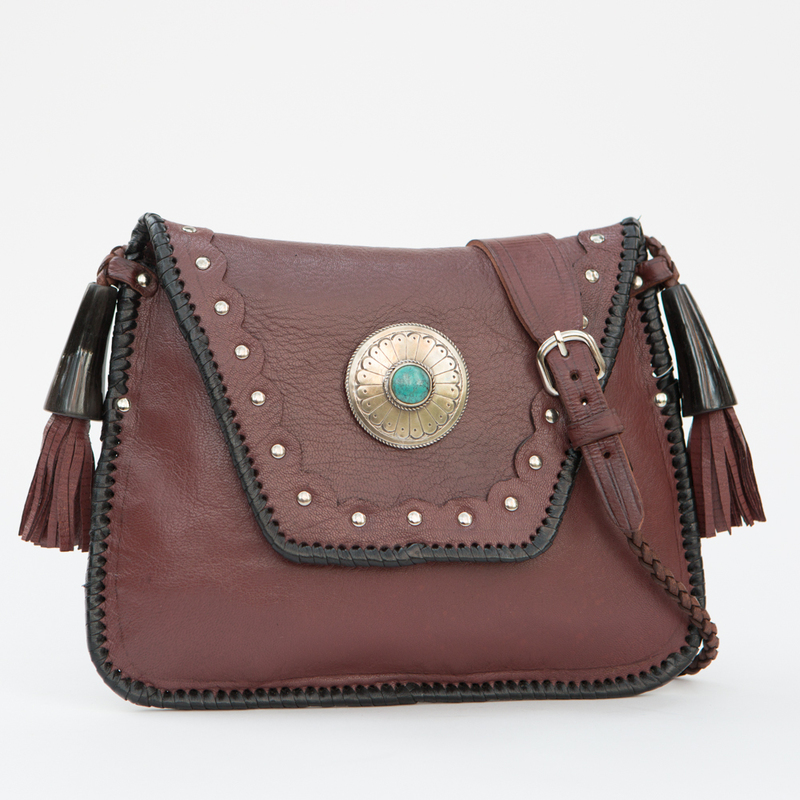 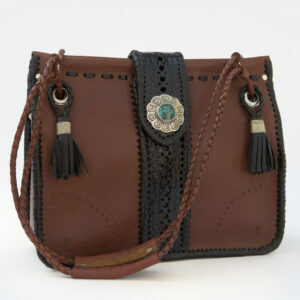 Tribal roots in a supple, rugged shoulder bag. 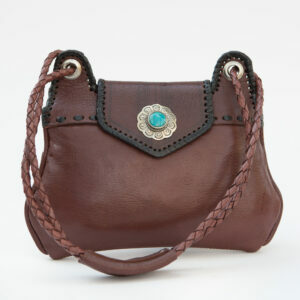 48″ barrel-braid strap with shoulder pad, inside divider, two back pockets, cow-horn tip tassels. 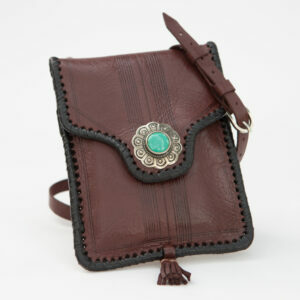 12×9 in.